Johanna Manuel a New York City resident for the past 21 years has been practicing real estate throughout NYC for nearly six years. A little over four of those years have been spent here at Compass. She is the Director of Operations on The Bahar Team and their motto is "Elevated Real Estate Intelligence". Their objective is to always provide an outstanding level of service to their clients based on their comprehensive knowledge of real estate and market activity. Establishing and maintaining a respectful and authentic relationship with clients is of utmost importance and a responsibility that is truly valued and treasured. 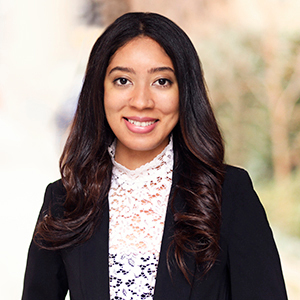 Her experience includes working with first time home buyers, seasoned buyers and sellers, investors, landlords and tenants in residential and a few commercial transactions throughout NYC. Given her experience of having worked on numerous transactions, having navigated different real estate scenarios and the intricacies that occasionally occur with some deals she has learned how to approach certain deals with an out-of-the box mentality to successfully reach a solution that is mutually acceptable between the parties on the transaction. Before transitioning into real estate in 2013 she worked as a paralegal with an attorney/administrative law judge at a private practice for two years. There she honed in on many of her skills and prioritized client confidentiality, responsibility, research, and thoughtfulness among other qualities that she continues to incorporate to her real estate practice. Her genuine interest and knowledge of real estate keeps her motivated to continue delivering an all-encompassing professional level of customer service to her clients and colleagues alike. While there are many aspects about this career that she enjoys one of the highlight includes meeting clients and learning about their goals, what they may looking for, and their history particularly with their home (regardless of whether they rent or own) as each one has a different story to tell. On her spare time she loves to read, watch films, share new experiences with friends and family, and travel.